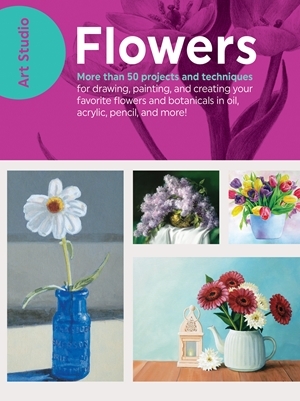 Art Studio: Flowers ISNB: 9781633223639 priced at $25.99 is an instructional book for those wanting to learn how to draw and paint a variety of beautiful flowers. There are more than 35 step-by-step projects, as well as dozens of technique tutorials. This comprehensive resource will help artists of all skill levels gain the confidence they need to transform their love of vibrant botanicals into beautiful works of art. We can learn to draw and paint traditional flower subjects, such as roses, tulips, and zinnias to a stunning wild flower field, lilac still life, and summer garden. We really like how inspiring this book is for us to use a variety of medium such as pencils, coloured pencils, acrylic, oil, watercolours to draw and paint flowers and sceneries with flowers. 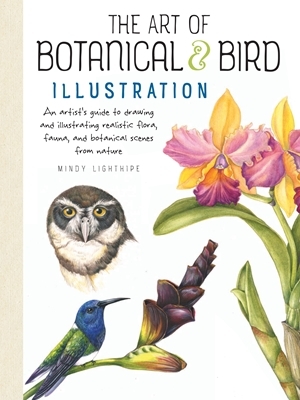 The Art of Botanical and Bird Illustration by Mindy Lighthipe ISBN: 9781633223783 priced at $25.99 explains how to use pencils, coloured pencils, watercolours, gouache, and pastel to draw beautiful, realistic artwork. There are illustration techniques and exercises to help us understand life of plants and animals. We like the in depth explanation that let us understand how important it is to pay closer attention to the details, so we can make our drawings and paintings realistic. 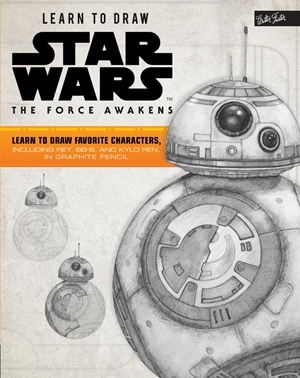 Learn to Draw Star Wars: The Force Awakens ISNB: 9781633222632 $25.95 brings modern Star Wars iconography to life in stunning graphite pencil, transforming memorable characters including Rey, Poe Dameron, BB-8, and Kylo Ren (along with Leia, Han Solo, and R2-D2) into detailed, realistic portraits. Lucasfilm collaborator and professional artist Russell Walks guides artists step by step and provides insightful notes, drawing tips, and memorable moments for each character from the film. This book allows readers to develop and strengthen their drawing skills. Star Wars fans will enjoy following the techniques in this book to draw. 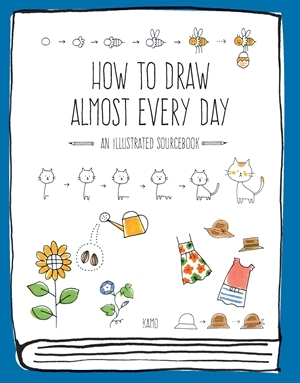 How to Draw Almost Every Day ISBN: 9781631593772 $25.99 challenges and inspires us to draw one simple illustration each day of the year. Each daily exercise is broken down with step-by-step diagrams, making the process easy to understand. It teaches how to draw items from everyday life, like food and clothing, as well as seasonal images including snowmen and pumpkins and doodles into greeting cards, calendars, invitations, gift wrap, and more. 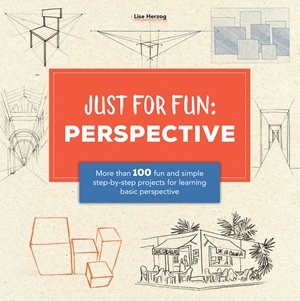 Just for Fun: Perspective ISBN: 9781633224162 $28.95 takes a complicated topic and makes it easy and fun for aspiring artists and art enthusiasts. The contemporary drawings and paintings, tips, instructions, and inspiration shows us how we can add perspective to drawings. These are such unique specialized books for the person who loves to draw and create. These books look so amazing for those who love to draw and want to improve. I'd love them all. Pretty cool books! Thanks for sharing! These certainly are wonderful books my granddaughter would love,she loves to draw! What a wonderful variety of drawing books - something for almost any drawing interest.